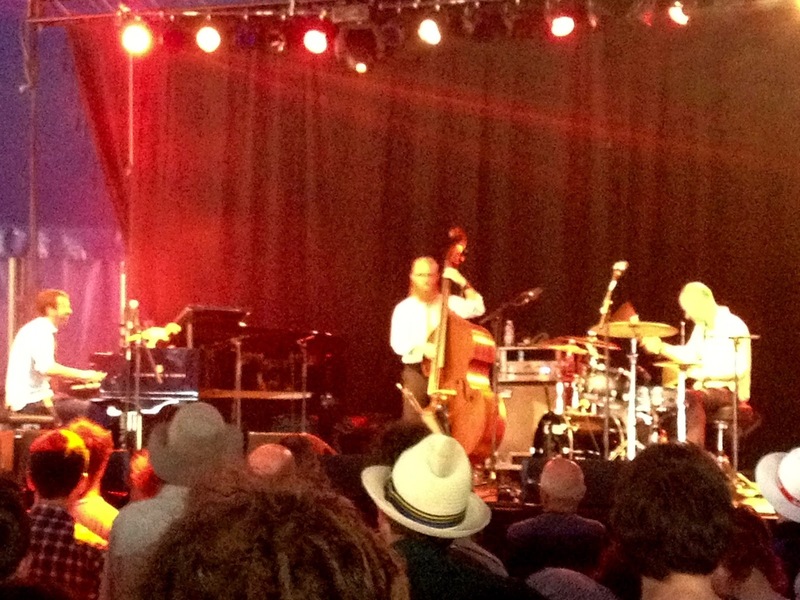 The UK's first camping jazz festival in over 20 years: the line up! Today, every single person in Britain is sweating like a beast. The sun has come out to play and flurries of people are heading, half naked, to Brighton's seaside. This is unlucky for me and my jazzy piano-player chum, as the trains are packed to the brim and Sunday services are infrequent anyway… But eventually we arrive in Glynde, a twenty-minute train journey from Brighton. I step into the quaint town and immediately feel like we're on a village walk as we trundle past some local swings and up a hill, following a mishmash of festival-goers. There could be more of a welcome in terms of signage and friendly t-shirted staff, but once we’re through the entrance we become part of a community. 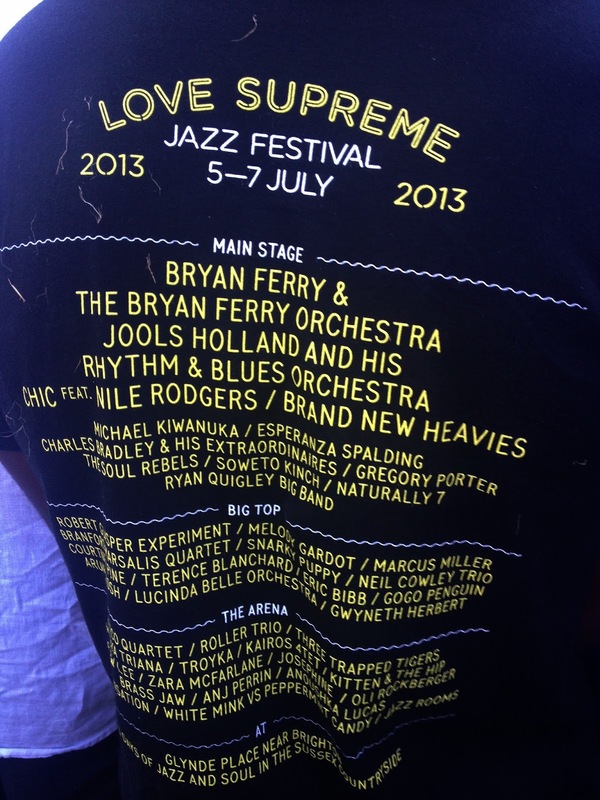 We’ve missed most of Soweto Kinch, London born alto sax player and MC. But I throw down my union jack picnic mat in time to bounce along to his rap vocals in ‘Stroke The Hippo'. 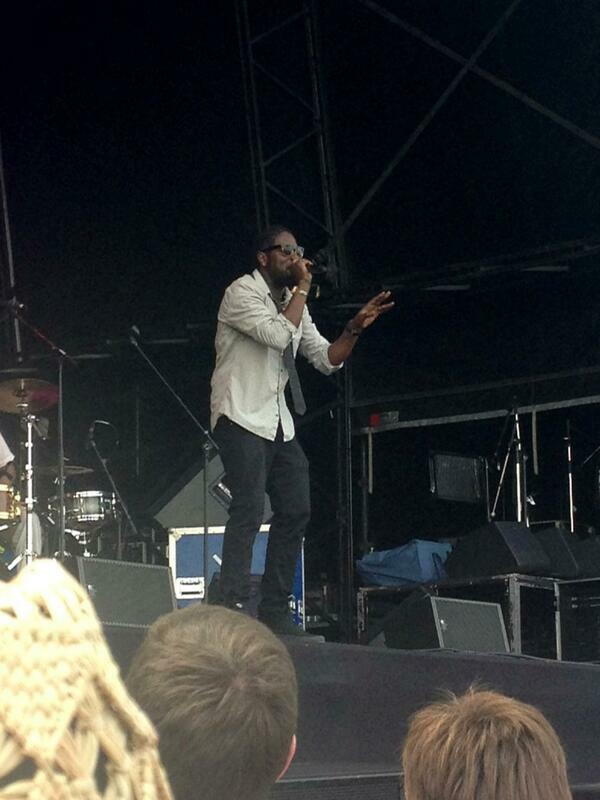 He’s got the crowd pumping their hands in the air to the big, bassy sound. We wonder into ‘Hidden Charm’, an unexposed red cabin where there are some uplifting soul mixes on the decks, a cool Paris/Vogue vibe and fruity Grand Marnier cocktails flowing fast. The French bar men are satisfied with the sunshine too… saucy girls in bikinis are wiggling to the tunes. We chill on the big, rouge beanbags and feel at ease to let our hair down. A couple of cocktails later, we’re amongst a sea of Gregory Porter supporters at the main stage. Standing tall, with a cheerful bow tie, he captures the crowd’s attention with his soothing deep voice. We hear a gentle rendition of his hit ‘Be Good (Lion’s Song)’, with some soulful sax playing. 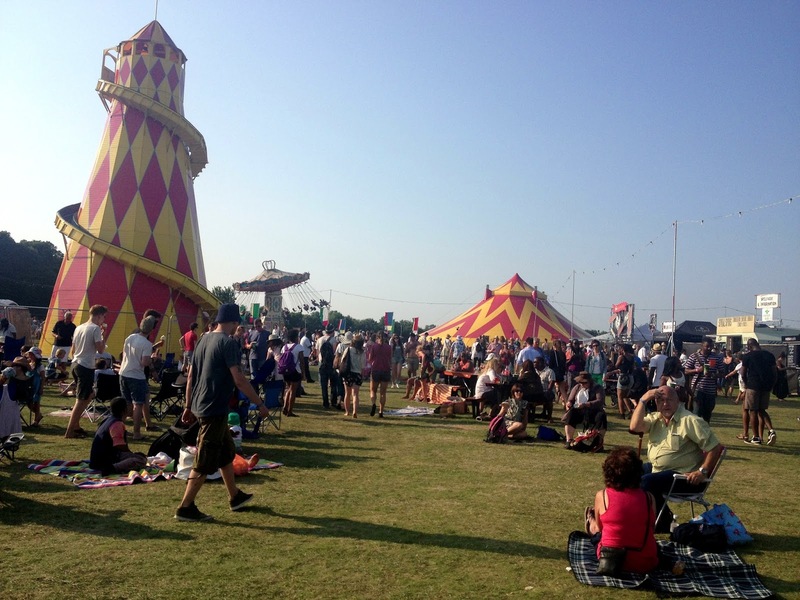 There’s a bit an echo around the festival site – but next year this could be sorted by positioning the stages better. 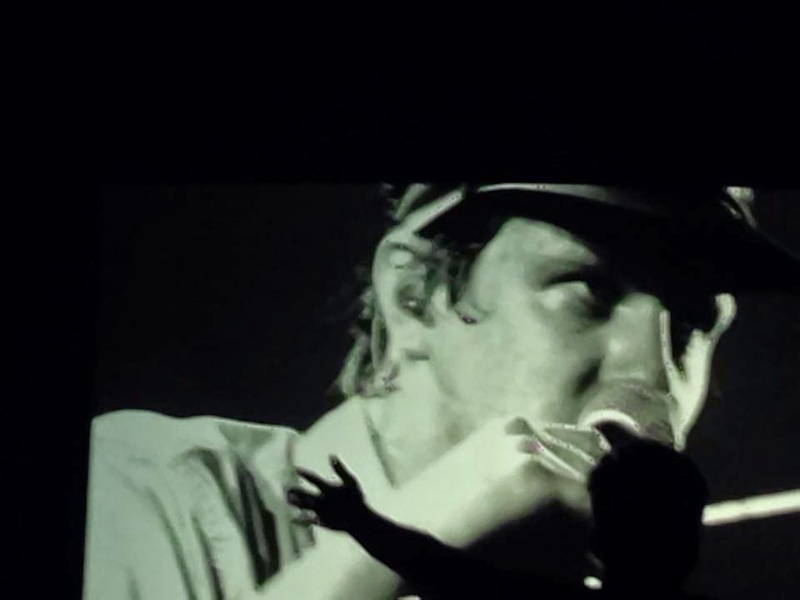 A highlight of his set is ‘Hey Laura’, a gorgeous bitter-sweet ballad with a cool hook that’s pleasantly surprising at first with its ‘tak tak tak’ Jamie Cullum triplets feel. I nip away to the ice cream van and back to catch ‘1960 What?’. The electricity from the drummer, pianist and bassist swims into the crowd’s veins. It gets everyone’s feet jumping (and my Twister ice-lolly dripping on a nearby snoozing toddler). Neil Cowley Trio are up next in the tented arena. 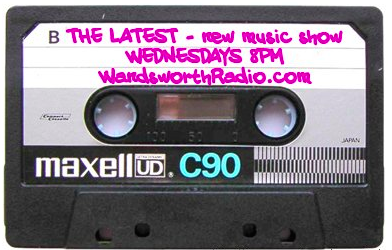 Their instrumentals build up and down and they groove along to ‘Gerald’, a tune “about a British telecom engineer who wore flared trousers and a tank top jumper he bought in 1993”. Cowley, who began his career as a classical pianist, jokes along with the crowd in between pieces. They go on to play mischievous sounding ‘The Face of Mount Molehill’, title track of their most recent album, before we head over to the main stage for the lady we’ve been excited about all day. 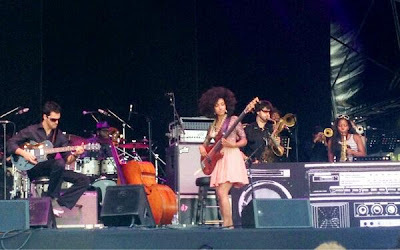 Esperanza Spalding prowls on stage slowly, in a game of musical statues, to join her Radio Music Society. What’s brilliant about this festival is how easy it is to hop from stage to stage without feeling as squished as a dinosaur in a shopping trolley on arrival. ‘Crowned & Kissed’ is first up with its head-swaying rhythm and addictive melody. Esperanza’s sweet and stunningly controlled vocals mist over us as the skies begin to calm for evening. The talented gang go on to perform a cover of Michael Jackson’s ‘I Can’t Help It’ and top track on Spotify ‘I Know You Know’ from 2008’s album ‘Esperanza’. The thick texture combines brass, wind, keys, kit, bass, guitar, and the gorgeous vocals of Chris Turner. “We could brew up a little medicine for some healing”, Spalding says softly as they play the uplifting ‘Black Gold’. Satisfied by the set, but a little hungry, we traipse out of the festival grounds, via the hot dog stand, towards home. We’ve sacrificed Jools Holland and his Rhythm & Blues Orchestra for the last train home but feel pleased with the sounds and sights we’ve experienced in this Sussex town. 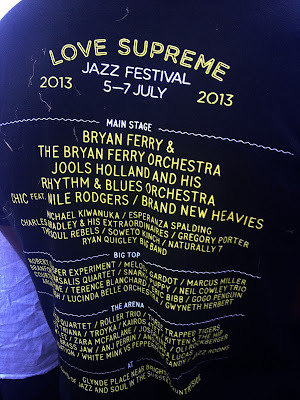 I’m left hoping the calibre of artists continues at next year’s Love Supreme.